For many individuals, considering the disposition of their assets after death can be an unsettling experience. 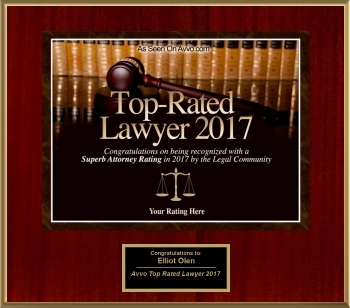 At the Olen Law Office, we encourage people to work with a skilled lawyer to develop an estate plan that minimizes disputes and gives you control over the distribution of your estate. For more than 30 years, our lawyer Elliot Mark Olen has guided clients through estate planning matters. It is our belief that you should consider developing a comprehensive estate plan no matter your health, wealth, or age. Wills and trusts form the cornerstone for any detailed estate plan. Contact our firm to schedule a consultation with a Bucks County attorney to discuss drafting wills and trusts in greater detail. Wills: Wills typically organize and clarify the distribution of physical assets. Wills can be as general or detailed as you want — specifying specific items or collections that should be distributed to certain heirs or loved ones. Many people also draft a living will that details their wishes regarding medical care if they should become incapacitated. Trusts: If a will is designed to specify the disposition of items, trusts are designed to specify the disposition of wealth. This is a general distinction, however, as there is often some overlap between the documents. Trusts can be written to care for minor children, fund a family business or specify the control of vacation homes. Powers of attorney: Along with wills and trusts, individuals also consider the use of powers of attorney to specify end-of-life decision-making. Often referred to as durable powers of attorney and medical powers of attorney, these documents specify a proxy who has the ability to make either financial or medical decisions for an individual should he or she become mentally or physically incapacitated. It is wise to seek the counsel of a knowledgeable lawyer who can tailor information to your specific situation. If you have further questions regarding drafting wills and trusts, we encourage you to schedule a consultation at the Olen Law Office. We can be reached by calling 215-943-5343 or by completing our online contact form. To better suit your needs, we are able to conduct business online and we accept all major credit cards.